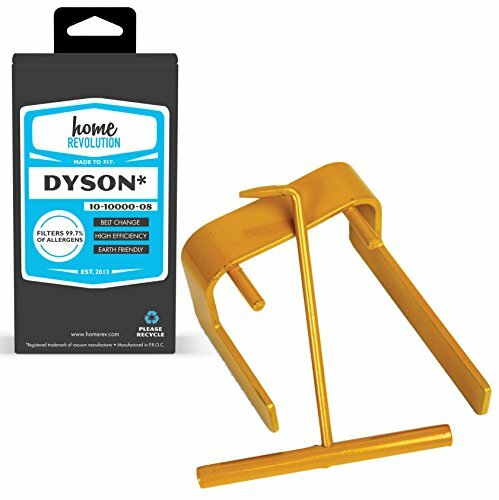 Made to Fit the following models: Dyson DC04, DC07 & DC14 Vacuums. Compare to Part # 10-10000-08 . This is not an OEM product and is not covered under any OEM warranty. The brand names and logos referenced here are the registered trademarks of their respective owners. Any use of these brand names, models or part number designations for this product is made solely for purposes of demonstrating compatibility. This is a replacement product carefully crafted by Home Revolution. Home Revolution tool kit exhilarate the home and mind. With a powerful style of manufacturing, we link quality tool and earth-friendly intention together. 100% quality tool and satisfaction or your money back! This is a replacement product carefully crafted, a HOMEREV (TM) Brand. PERFORMANCE: Worn parts may affect your equipments efficiency and performance. EXPERT TIP: Regularly check your equipmentﾒs worn parts for maximum efficiency. You want a high-quality, low-cost tool kit improves the expected life of your HVAC, refrigerator, air purifier, humidifier, furnace or car.